There comes a time when you look around your home and desire a change. Rather than adding new pieces of furniture, decor, soft furnishings or a coat of paint, it is worthwhile considering a blinds upgrade. 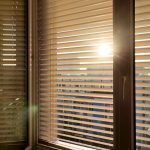 Blinds in Melbourne are fast becoming a favoured home feature for their functionality, style enhancing quality and surprisingly cheap price tag. More and more, Melbourne stylists are paying attention to the impact blinds can have on the atmosphere within a space. In Victoria, magazines, styling websites and apps and renovation TV shows promote the benefits of choosing suitable blinds for your Melbourne property and offer many tips and information on achieving a blissful, designer space on a budget. The best thing about using blinds to enhance the look and feel of your living space is that in Melbourne there is an enormous range of blinds in plenty of colours and fabrics to choose from. From simple roller blinds or vertical blinds to classic timber venetian or roman blinds, you will be able to find the perfect match for each and every room in your home and to compliment your taste. Unlike decor, furnishings or artwork, new blinds offer new style as well as essential functionality for your home. Regardless of which room you are looking to upgrade, you will be able to decide on the level of illumination, privacy control, viewing ability to outdoors and operation control. When buying blinds in Melbourne, it is best to seek a professional manufacturing company who guarantees their products to ensure you get a long life span out of your investment and the most up to date advice on choosing blind to meet your requirements. In Melbourne, finding cheap blind for a high impact home improvement is easy. Once you begin obtaining quotes from reputable Melbourne blind companies, you will notice that installing new blinds can be cheaper than upgrading your carpet, installing floorboards, painting your walls or purchasing a range of new furniture. If you want to take it one step further, the option for motorised blind, or blind automation may appeal to you. This technological advancement in blind control is becoming a popular choice throughout Victoria. Regardless of whether you are moving in to a new home, refreshing an old space or simply want to add flair to one or more rooms in your home, installing new blind could be a cheap and beneficial solution.